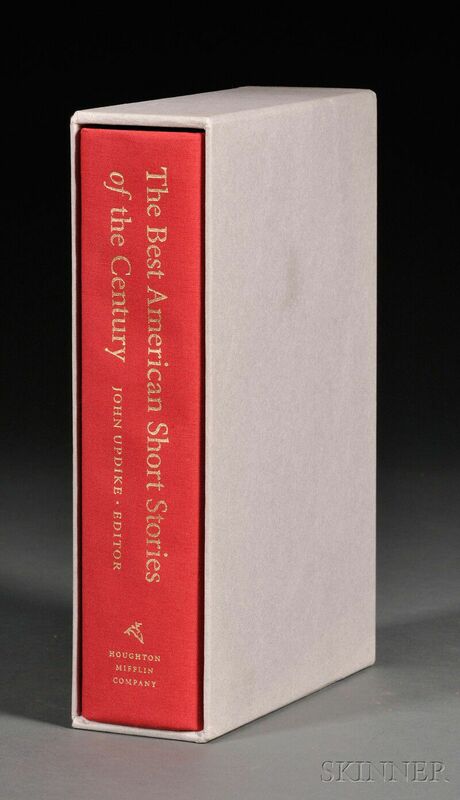 Updike, John (1932-2009) The Best American Short Stories of the Century. Boston and New York: Houghton Mifflin Company, 1999. 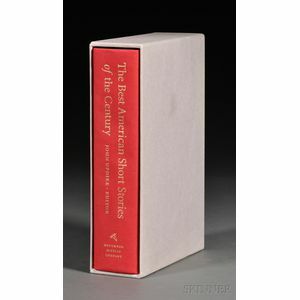 Publisher's cloth, housed in slipcase, numbered 141 of 200 copies signed by Updike; front pastedown paper crumpled and glued down defectively at one corner.